Hector "Bacon" Andres, 28, is a taxi driver. He was on a memorial service for a friend that was killed the day before. Hector was shoot in the street at 6 am. Three men has been shoot in the same street the last two days. 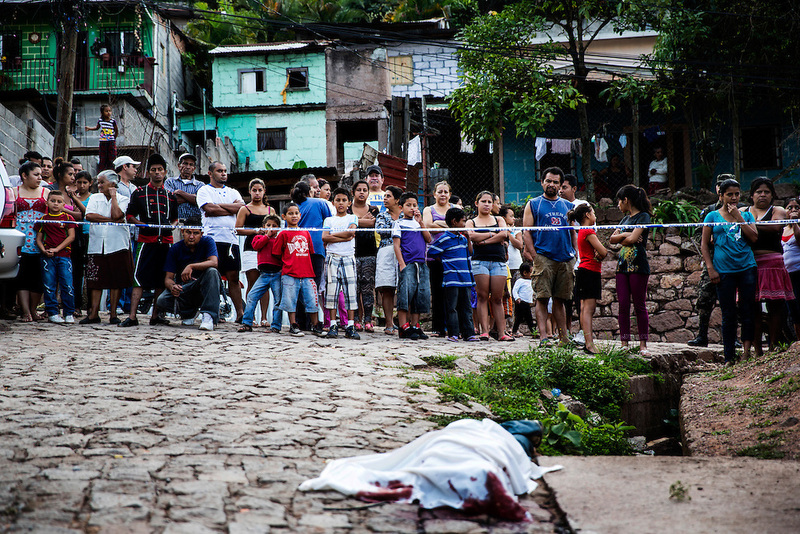 ”This is how people are killed in Honduras. Like dogs. The murderer will never be found”, says he´s wife.